The dispute arose over chrism masses. Chrism masses involve the blessing of holy oils and renewal of priestly vows, and "are an essential part of the sacramental ministry of the bishops concerned to the clergy and people who have been placed by the House of Bishops’ Declaration under their oversight and care." 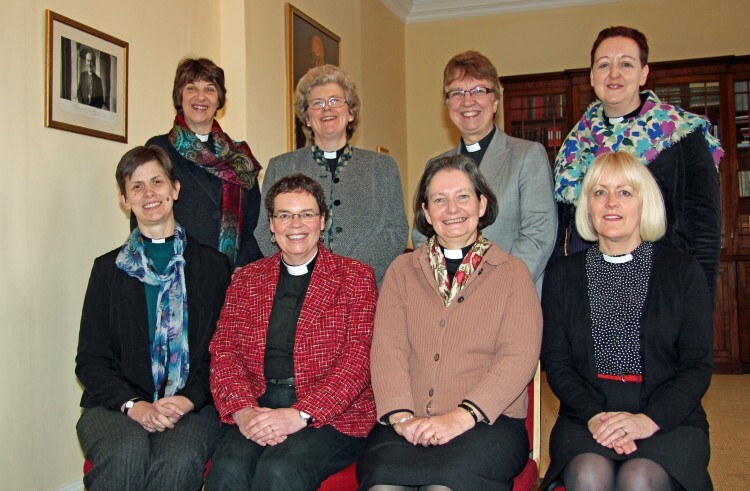 - Statement of Bishop of Wakefield, a bishop of the Society of St Wilfrid and St Hilda, an ecclesial community dedicated to maintaining catholic teaching and practice within the Church of England. Read more about this dispute here. A recent letter from a Filipino friend concerning the growing tension in the South China Sea. Thank you for this attached article. It is sad that this territory has been left unattended by our government for so long. The government of the Philippines which was constituted as an independent republic by the USA in July 4, 1946 have failed to properly protect this territory. Historically, in the 13th century a Chinese Admiral of the Emperor"s War Fleet, a Hui Muslim by the name of Admiral Zeng He from Yunnan China, have established diplomatic relations with Kingdom states in South East Asia. His exploits have helped to cement a treaty of friendship and alliance with the Sultanate of Malacca, and with the Kingdoms in what is now Philippines. In 1600 the Chinese Emperor have entered into a Treaty of Friendship and Alliance with the Sultan Muhammad Dipatuan Nasseruddin Qudratullah, Kudarat I, the Sultan of Maguindanao who was a descendant of the Sultan of Malacca on his mothers side. The sultanate of Maguindanao which has its territory as Mindanao have fought against Spanish intrusion for more than 300 years without being subjugated. When Spain through its leaders in Mexico, which governs the Philippines, sell the subjugated territory in the far east to America in 1898, without ownership right by conquest or subjugation, have included Mindanao, the territory of Sultan of Maguindanao, to the USA, and in 1946 against the three documented manifestos of the Sultans of Maguindanao and Sulu against inclusion of Mindanao and Sulu to the then created republic of the PHilippines, have forcely annexed Mindanao and Sulu (territories of Sultans of Sulu and Maguindanao) to the Republic of the Philippines.These Sultans are what you have identified as of Kushite ethnicity. The sale of Spanish territory, which is Luzon and Visayas, to USA in 1898 was facilitated by brother Masons of government of Mexico to the Brother Masons of the government of the United States of America and with Brother Masons of the Filipinas, members of Traditional Institution of Freemasonry. Free Masons in Europe have supported the Traditional Institution of Kingships, even British Masons Sir Thomas Stamfor Raffles have supported the Tradition of Kingships in subjugated territories in South East Asia, but in the the Philippines they have violated the tradition of kingship. This violation of the right of free state of the Sultanate of Maguindanao and Sultanate of Sulu, against the Statutes of Liberty as enshrined in the US Constitution, have effectively foreclosed the historical and sovereignty rights of the Sultanate of Maguindanao to what is now West Philippines Sea, the disputed area. The fact that China Emperor, the Dutch Government, the British Government, even the United States of America have entered into treaties with the Sultan of Maguindanao and Sultan of Sulu in the past have proven that such disputed territory now is not owned by China as what they are now claiming, that they have historical right over it. It was the Kushites Sultanates of Mindanao and Sulu who has historical ownership right over the disputed area. Even in the 10th Century our history books told that the Kingdom of Butuan in Mindanao have Treaty of Friendship and Alliance with the Emperor of China. Therefore, being kingdoms it has prior right over the seas around it. The Republic of the Philippines which constituted by USA in 1946 only, have claimed sovereignty over this disputed territory by citing a claim of a certain Filipino by name of Mr. Cloma made in 1950's, a very late claimant. There are pains in our heart but we pray Almighty God will correct this injustices in his time. Thank you very much for your prayers and concerns. Mr. Jose Bulang lives in Bohol where dynamite fishing is illegal because it destroys an ecosystem, and the smaller fish. 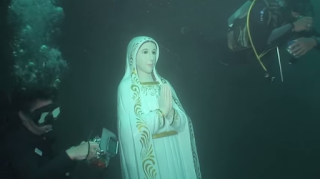 Because of the fear of God, people in Bohol decided that the best way to stop dynamite fishing would be to put a statue of the Blessed Virgin Mary underwater so that the fishermen will see the statue pleading with their good hearts and conscience. This International Congress invites all Anglicans throughout the world (a) to a reexamination of the doctrine of the Church and (b) to a further consideration of areas of continuing ecclesial contention, for instance, the ordination of women, deemed by some to be a first order issue. This is necessary so that there may be a revival of Catholic Faith and Order, and a return to a biblical, credal, and conciliar fidelity. Only through honest discussion, ongoing prayer, and ultimate agreement will faithful Anglicans discern fully what God is doing in the great realignment taking place globally. This International Congress prays also that in God’s good providence there will be a truly Ecumenical Council of the whole Church to address contentious issues facing Christians and churches and to strengthen the faith of the Church. Statement of the International Catholic Congress of Anglicans. Read the full statement here. 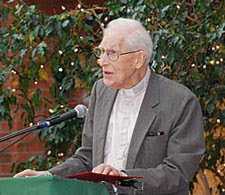 J. I. Packer was one of the people who walked out. "The Union was formed by the voluntary agreement of the States, and in uniting together they have not forfeited their nationality, nor have they been reduced to the condition of one and the same people. If one of the States chose to withdraw from the compact, it would be difficult to disprove its right of doing so, and the Federal government would have no means of maintaining its claims directly either by force or right." --Alexis de Tocqueville, Democracy in America. Kevin Cochran was fired as the Atlanta Fire Chief after gay activists attacked him for a book he wrote titled Who Told You You Were Naked? According to Fr. 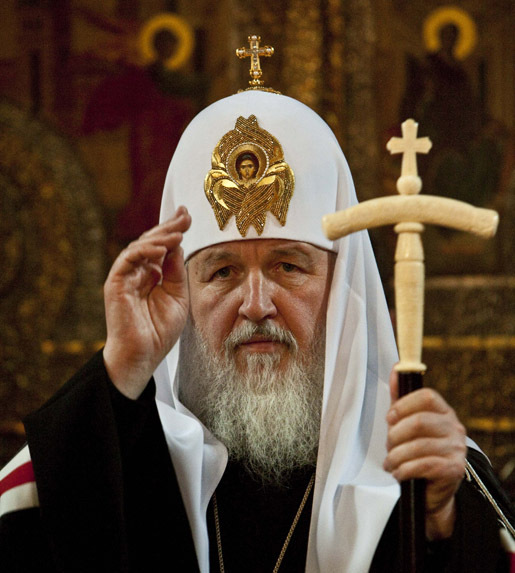 Patrick Reardon, priests in the Russian Church Abroad are no longer given blessing to sign any civil marriage documents in the United States. Belgium is plagued by a culture of death and has been for many decades. By a vote of 50 to 17, the Belgian Senate approved euthanasia for children in December 2013. In a case that attracted world attention, Belgian doctors killed 45-year-old deaf identical twins who were going blind in 2013. Since before 2011, Belgium doctors have been harvesting the organs of euthanised patients. It is a big business there. In the latest news from Belgium, a 24-year-old woman who is suffering from depression but is otherwise healthy will be euthanised. She qualifies for "the right to die" under the Belgian law, even though she does not have a terminal or life-threatening illness. The 24-year-old woman, known simply as Laura, has been given the go-ahead by health professionals in Belgium to receive a lethal injection after spending both her childhood and adult life suffering from "suicidal thoughts", she told local Belgian media. Laura has been a patient of a psychiatric institution since the age of 21 and says she has previously tried to kill herself on several occasions. She told journalists: "Death feels to me not as a choice. If I had a choice, I would choose a bearable life, but I have done everything and that was unsuccessful." The date of Laura's death is yet to be decided.